There is a great need in our community, and throughout the State, to increase access to convenient and safe disposal of used sharps, including lancets, hypodermic needles and syringes, for the health and safety of New Yorkers and the State’s environment. Each year in the United States, approximately 9 million people administer at least 3 billion injections outside of traditional health care facilities. Nearly two-thirds of these “at-home” injectors are people with diabetes and patients administering home health treatment for allergies, infertility, arthritis, migraines, MS, and other conditions. In addition, injection drug users use syringes and needles. Syringes are also used to give medicine to pets. Many self-injectors are unaware of safe disposal methods and simply throw their used needles in the trash or in the recycling, or flush them down the toilet. This poses a risk of injury or potential infection to sanitation workers, household members, maintenance staff in airports, office buildings, and other public buildings, and anyone else who encounters the sharps. Safe disposal prevents sharps from ending up on streets, in parks, in municipal wastewater treatments plants, in the solid waste stream, or in with recyclables. Safe disposal also minimizes both sharing of syringes and accidental needlestick injuries. 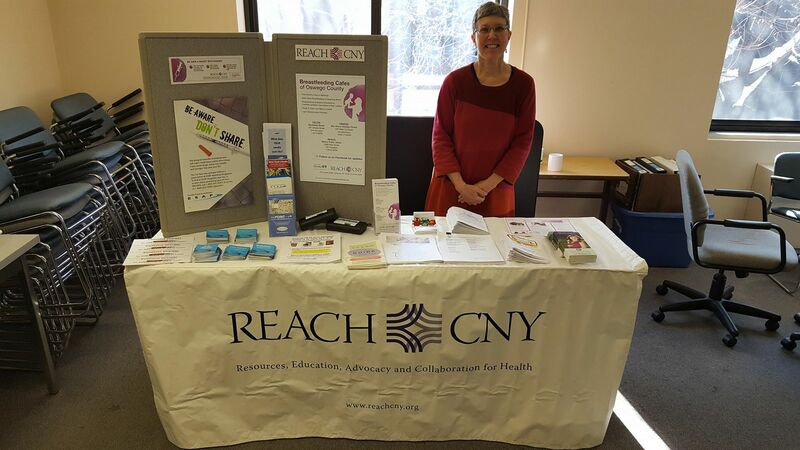 REACH CNY and the New York State Health Department invite you or your community-based organization to join this effort to improve public health!